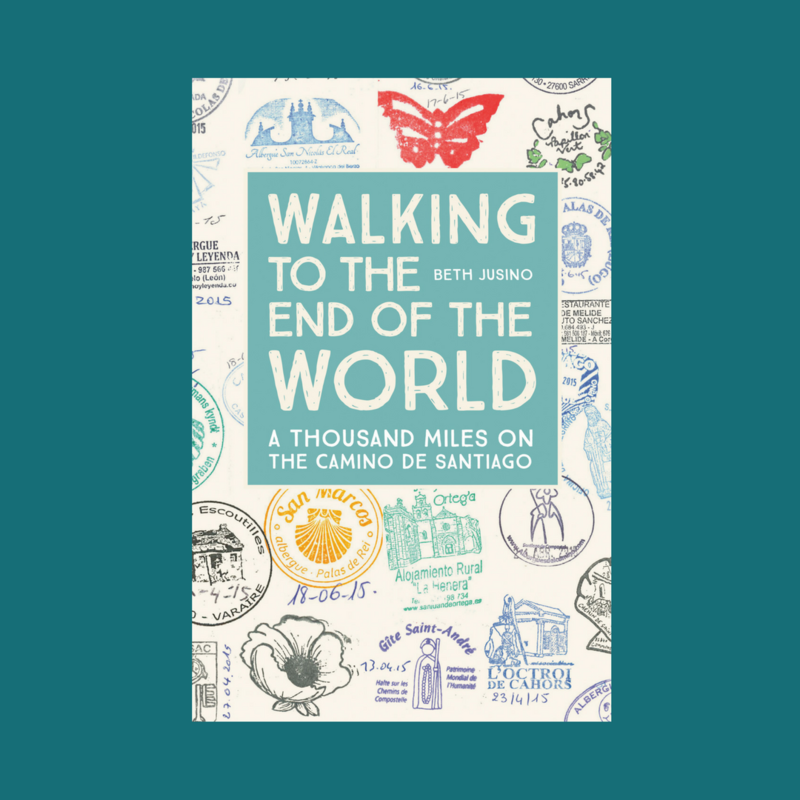 One of the incredible, unexpected things that happened when I took my personal experience on the Camino and shared it with the world, is that other people started sharing their experiences and passions back with me. 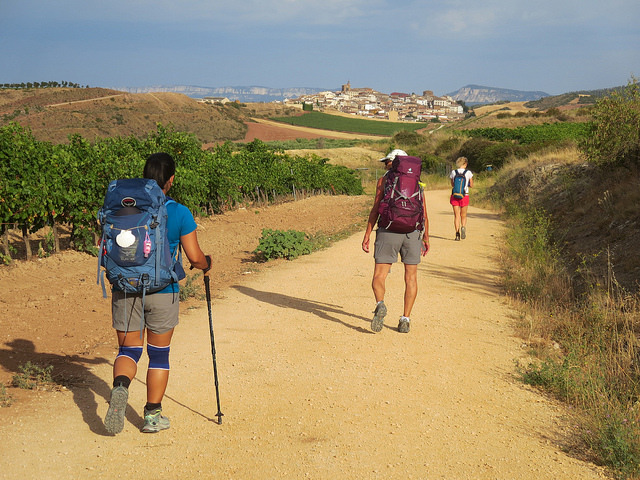 I’ve known and depended for years on the strong Camino community of former and future pilgrims, but in the last year I’ve discovered so many other groups, scattered around the country, that exist to encourage people to get outside and stretch their minds and their muscles. One of those groups is Hike the World, based in my home state of New Jersey and dedicated to building community, mental health awareness, and volunteer opportunities through hiking. We’ve been fans of each other on Instagram for a while, but in March we took it up a notch in honor of The Outdoor Journal Tour’s Women’s Empowerment and Wellness campaign #wehiketoheal. As part of that partnership, I wrote an article for them about my own experiences as an unlikely, and sometimes frustrated long-distance hiker. You can read the whole thing here. 1: Don’t overthink it. Don’t talk yourself out of trying something just because it seems too extreme. Don’t label yourself as someone who could never do “something like that.” That includes both long thru-hikes and challenging day hikes. You can walk a lot farther than you think you can. Don’t look at the total distance or elevation if that’s going to intimidate you; just look at the next step. Count them in French, if it helps. 2: Turn off your phone, put down your camera sometimes, and just be present. The wonder of hiking (or walking, or backpacking, or whatever you call it) is that it slows you down to a human pace. You have time to take in what’s around you. Notice the small changes in the trees or the dirt under your feet. Walk along a farm field and make eye contact with the cows. Sit on a bench in the middle of town and enjoy a snack while you watch the people. 3: Get outside whenever and however you can. Since I’ve been back from that long Camino walk, I’ve made it a priority to keep walking. (I still find it weird to call it hiking, but I suppose that I’m doing some of that, too.) It’s not always a stunning European trail, but I’ll walk two miles to my office instead of catching the bus, or walk the ten minutes to the grocery store instead of driving. I try to get out of the city and go for a longer trek in the mountains near Seattle a couple of times a month, just so I can breathe in the smell of trees and focus my eyes on a piece of nature for a bit. Every little walk counts. 4: Don’t compare yourself to anyone. Everyone has their own story. I was the slowest one up almost every hill and mountain, but I made it. My bag was not the lightest (or the heaviest). I walked farther than some, and not as far as others. But my walk is my own, and your walk—however long, however tall, and wherever it happens—is your own. Own your accomplishment. Wave your flag. Keep walking. So that’s what I came up with. How about you? What advice would you give to a new or aspiring hiker contemplating something bigger or harder than anything they’ve done before? Advices… be prepared. I am trying to be as fit as possible to enjoy the journey but it doesn’t mean I will not find it difficult some days. I have my Miam Miam Dodo. I know I should not carry a bag too heavy. I always prepare as much as possible before a trip. Walking trip is really different than road trip as we might get rain ( just bought new rain pants) but at the end we have to take it one day at the time. I hope to be in the moment and take as much in and keep all the memories in my head ( photos will help also). I am starting to count the days. In 2 months from today ( March 16) we will have walked from Le Puy to St-Privat. My husband is now reading your books and when we walk we talk about the books we are reading.